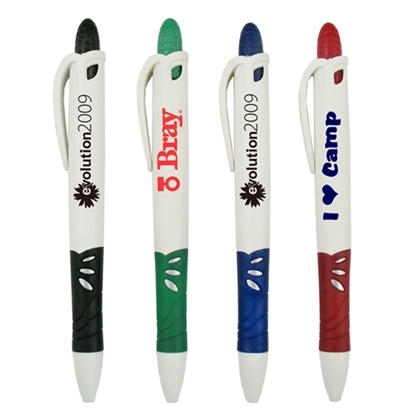 Personalized Eco-Friendly Promotional Pens with Your Logo or Text! Think Earth! 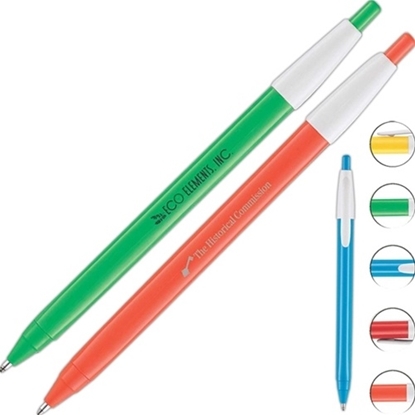 ENCORE pencils and pens are made from at least 30% post consumer waste. These items are made from recycled denim, currency, and newspapers. 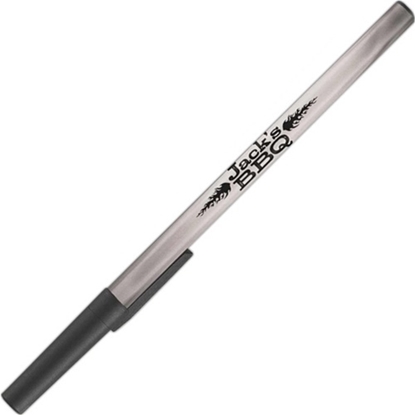 And introducing our NEW RE-TIRED Stick Pen. Where the tire meets the paper impressions are made. The pen is re-tired even if you are not. What a perfect item for tire and auto stores, or that person who wants to feel good about recycling. 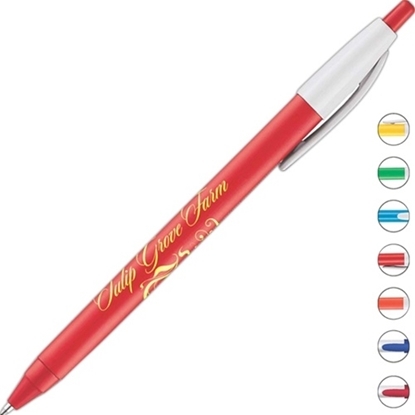 The Ecco Pen has single color printing in an assortment of colors. Recycled paper barrel with wood clip. Natural biodegradable material. Eco-friendly. Colored PLA barrel with white PLA, a starch-rich plant derivative material, trim. 80% recyclable. 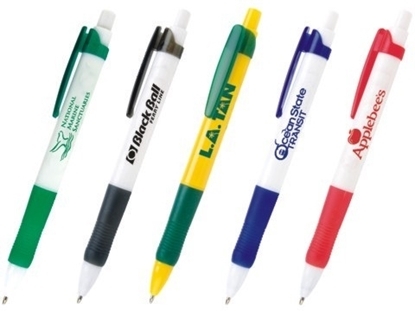 Mypromotionalpens.com ® continues to be a forerunner in protecting and improving our environment with our Bio75. The Bio75, a new bio-plastic retractable ballpoint pen, is manufactured from natural plant starch raw material which is 75% biodegradable. 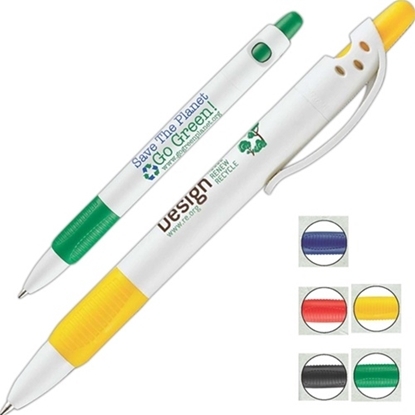 This pen degrades in a landfill faster than plastic. 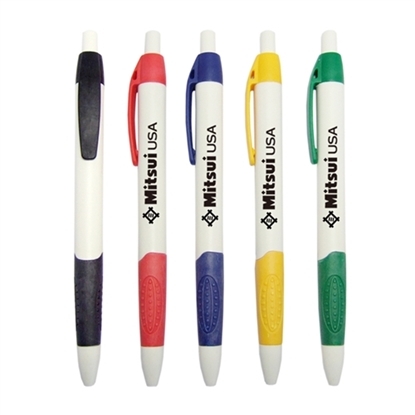 Looking for a safe, colorful biodegradable pen? We have it in our PLAPen Tri, made of the new PLA material. This environmentally friendly annually renewable material produced from plants, presents a viable alternative to traditional petroleum-based materials. It is certified compostable by the ASTM D6400, and DIN EN 13432 standards. Produced from plant material! 1.0 mm Medium Ballpoint. 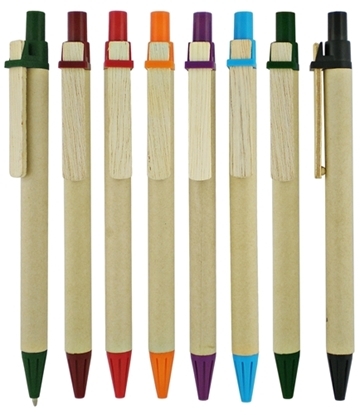 Looking for a safe, colorful biodegradable pen? We have it in our PLAPen Tri, made of the new PLA material. This environmentally friendly annually renewable material produced from plants, presents a viable alternative to traditional petroleum-based materials. It is certified compostable by the ASTM D6400, and DIN EN 13432 standards. Produced from plant material! Another innovation in the Compostable Biodegradable materials with the new Biograde BF, which is 90% compostable when exposed to micro-organisms and heat. 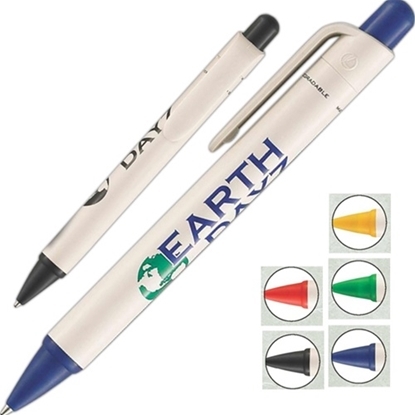 This new retractable ballpoint eco-friendly pen conforms to ASTM D6400 and PIN EN13432:2000-12. 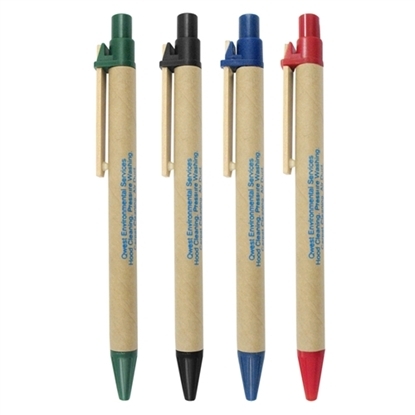 The Newest Generation of Compostable/Biodegradable Pens. 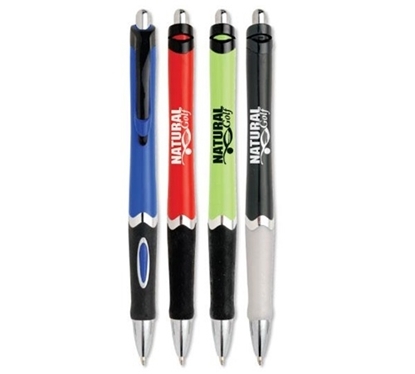 the eco-friendly Terra-Riffic Stick Pen with its smooth write. Eco-friendly. 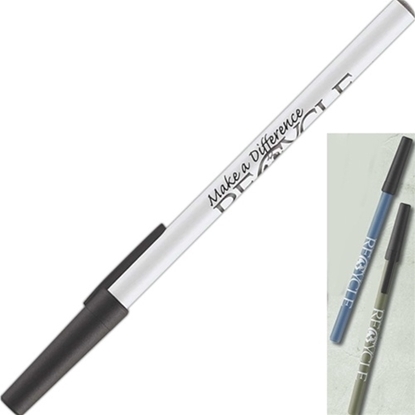 PLA, a starch-rich plant derivative pen made of 80% biodegradable material. Solid barrel with white clip trim. Frosted grip. Retractable mechanism. Eco-Friendly. Made of PLA, a starch-rich plant derivative material. Retractable mechanism. Rubber Grip. Eco-friendly. Recycled paper barrel with PLA, a starch-rich plant derivative material, trim. Large print area. Retractable mechanism. Medium point black refill. White imprint, not available. The Newest Generation of it's kind. Terra-Riffic Slim, same great compostable, biodegradable material in a slimmer profile. 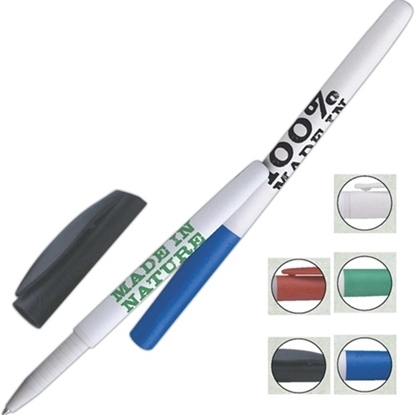 Eco friendly, Earth friendly pen is made of nature friendly 85% biodegradable, Bioplastic Renewable PLA, The Eco green pen raw material is 100% Biodegradable 45 days, Eco pen is environmentally friendly 75 days no residue, green grip and accents, medium point refill. 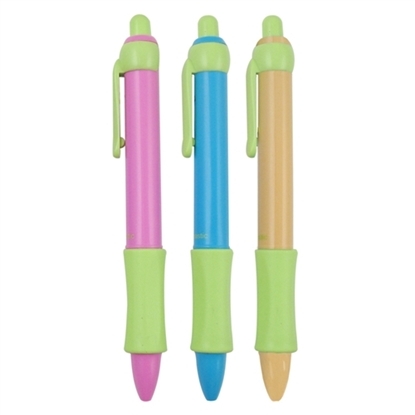 The Bubblicious Eco II pens are eco friendly and 85% biodegradable. Renewable PLA and the raw material is 100% biodegradable, 45 days. No residue. Green grip and accents. Eco-friendly bamboo barrel. Bright trim colors. 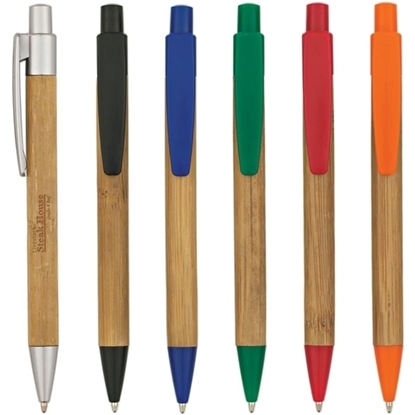 Fresh, attractive and good for the environment bamboo promotional pens! 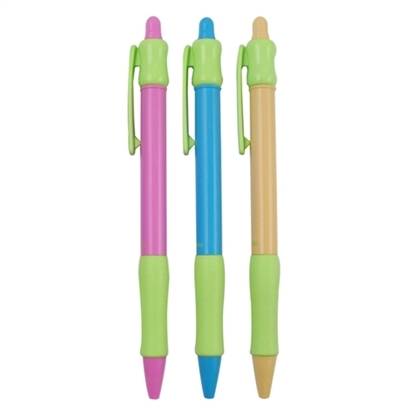 The Eco Green Click Pen is made of corn starch organic material. Colored accents and grips. 70% biodegradable. 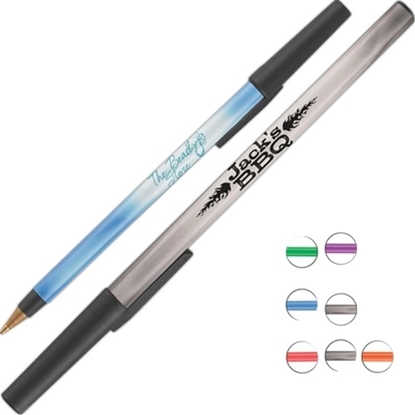 The Newest Generation of Compostable/Biodegradable Pens. The Tera -Rific Grip... Everything but the spring and refill are made of 100% certifiable compostable / biodegradable starch material. The colored grip is a compostable, biodegradable material, offering a comfort to your hand. 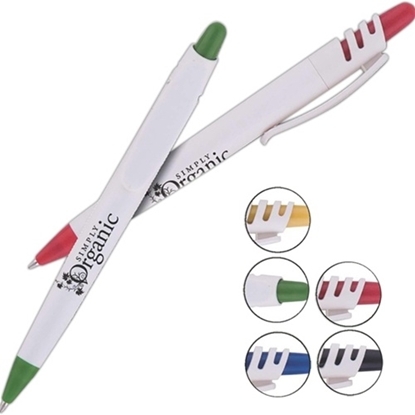 Eco-friendly pen is made of corn starch organic materials, color grip, 70% biodegradable, reduces Carbon Dioxide emission, high quality design, save more of oil. Medium ball point pen refills. 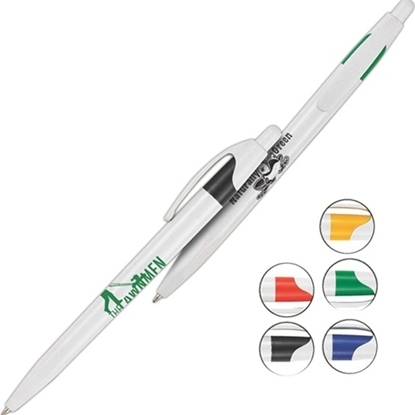 The Eco Green III is an eco friendly, earth friendly pen. It's made of nature friendly corn starch and organic materials. 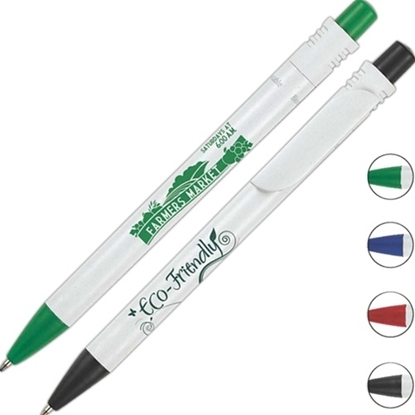 The Eco Green III pen is 70% biodegradable. 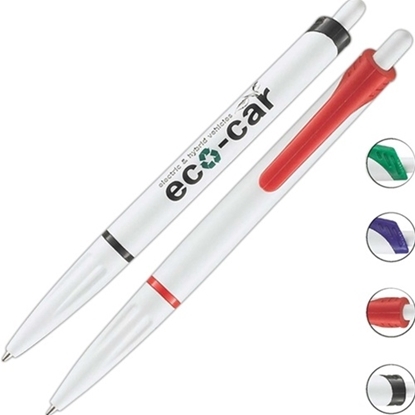 Eco pen's environmentally friendly material reduces carbon dioxide emission. Features: Biodegradable. Highlighter and pen combo. Highlighter color matches pen trim. Eco-Friendly. Barrel is made with 100% biodegradable plant starch material. 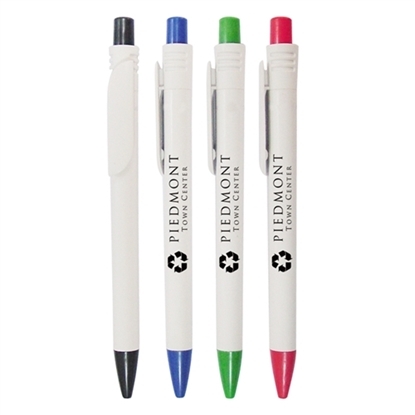 Plastic parts of the pen are recyclable. Rubber grip with color accents. Retractable mechanism. Medium point black refill. 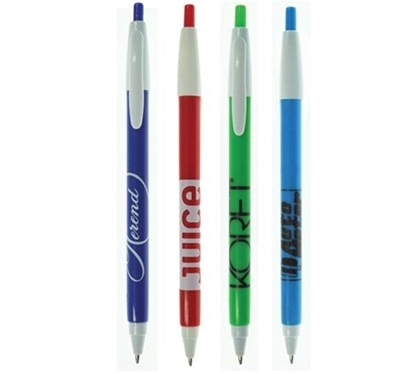 Mypromotionalpens.com offers the largest and best priced selection in Promotional Eco-friendly Pens. We will price compete and we won't be under sold. 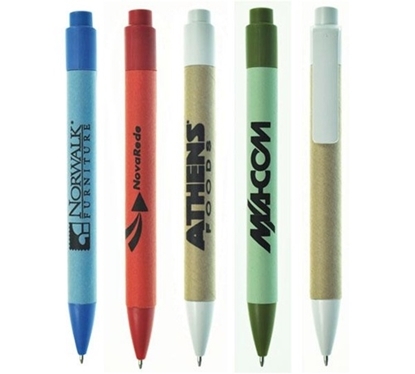 Let our graphic designers make your personalized Eco-friendly Pens standout above the crowd at no charge. We won't stop until you are completely satisfied with your custom Eco-friendly Pens art proof.Use category search filters on your left to help narrow your search to find exactly what you are looking for.